I took our paper scraps out of the shredder so I didn't have to rip up each piece of paper. I also soaked them for a few days... I meant to just soak them for 24 hours, but I got busy and I couldn't make paper for a while, so I had no choice but to let it sit there. 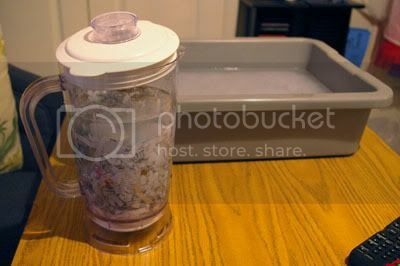 Fill the blender about halfway up with the paper mixture and then fill it up with warm water a little bit more than the paper. Blend. 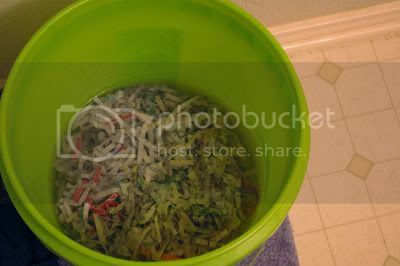 Pour into a tub that is already halfway filled with water. 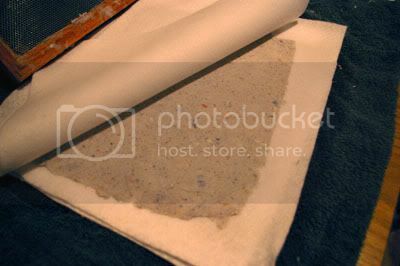 Here's what you need now.. your tub of paper-water, a few pieces of felt, a sponge, a screen and a piece of plastic that fits in the screen. 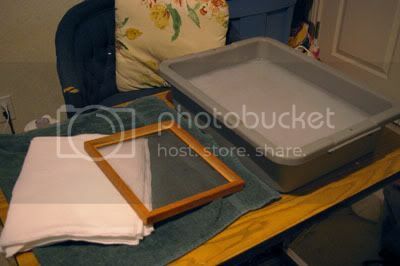 I just made my screen with an old frame and metal window screen. 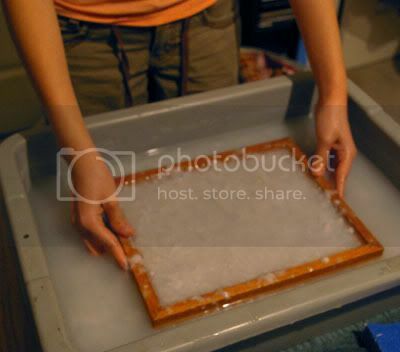 Put the screen in at an angle.. kind of like you're going to scoop up the paper-water mixture. Pull the frame up slowly and as even as possible. 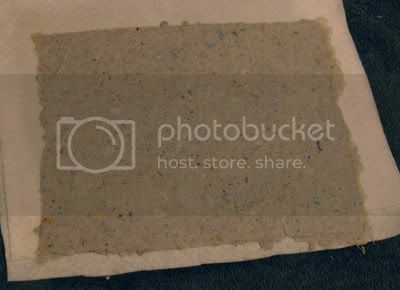 Let the excess water drip out and put your plastic on top of the screen. 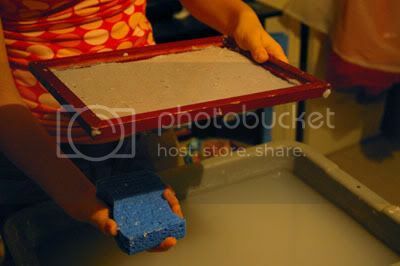 This part you would need two people.. You would really have someone holding the frame, and the second person putting one hand on top of the screen and pushing the sponge against it from the bottom to push the water out. Every few pushes you'll have to wring the sponge out. Peel the plastic away from the paper. If it sticks at all then the paper has too much water in it still and you'll need to keep pushing it out. 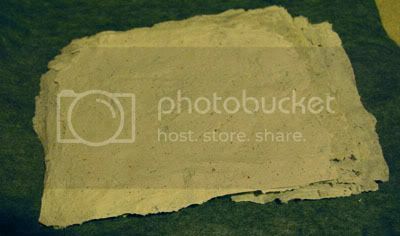 If it doesn't stick, and you get the plastic off the paper, flip it out onto one of the pieces of felt. Like so. Put another piece of felt over this one. A stack of paper! ..wow, this picture is kinda green.